New Delhi: Aakash Institute, India’s leading Coaching Institute for aspiring doctors and engineers in sync with its vision to become a preeminent educational group is enabling the brightest minds of the country to achieve what they desire and deserve by launching first-of-its-kind Aakash Talent Quest (ATQ). This unique scholarship exam is only for Class 12th studying and passed students. Everyday offers a new opportunity and every opportunity gives a new chance. ATQ is a chance for those students who believe they can and they will. It is a chance to build a better and brighter tomorrow. 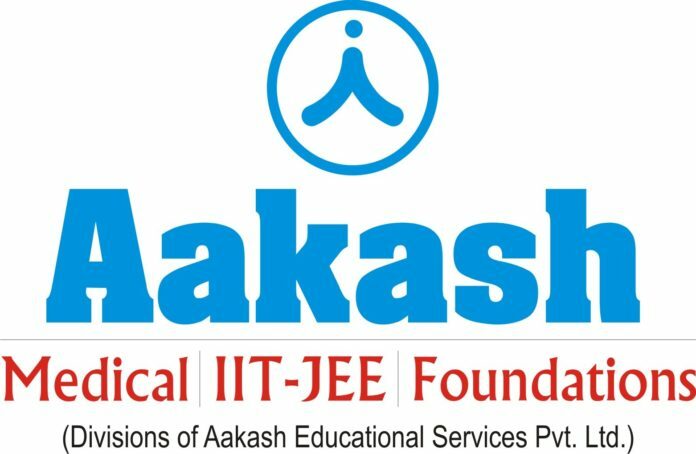 The first edition of the Aakash Talent Quest announced today will help students with the short term courses/ crash courses in the crucial weeks before the IIT-JEE and NEET exams. Announcing the launch of ATQ, Mr. Aakash Chaudhry, Director, Aakash Institute said, “With increasing competition every year, students are leaving no stone unturned to prove their potential. Through ATQ, our endeavor is to strike the right balance between ability, aptitude and study material, just before the exams for students who have the potential and were looking for expert guidance to help them fulfill their dreams. We are confident that ATQ will be instrumental in helping students at the crucial juncture to embark on a successful journey ahead”. The examination is scheduled on 24 December 2017, Sunday, across 22 states of the country. The last date of application is 17th December 2017 with a minimal examination fee of Rs. 300. This year students can also pay the fee through digital payment mode like PayTM, Mobikwik etc. The exam for Medical Stream Aspirants will be of 720 marks in total, carrying 180 MCQ type questions, for Engineering Stream Aspirants it will be of 360 marks in total, carrying 90 MCQ type questions. These questions will test the knowledge of Physics, Chemistry, Biology and Mathematics. Top 50 students from each stream of engineering and medical will be eligible for 100% scholarship on Tuition Fee. While top 100 students each from both streams will be eligible for Cash awards, students from Rank 51 to 15000 will be eligible for Scholarship from 80% to 20% as per the criteria mentioned in the company’s course prospectus. The countrywide talent hunt spans across all the major cities in the states of Assam, Andhra Pradesh, Bihar, Chhattisgarh, Delhi, Goa, Gujarat, Haryana, Jammu, Jharkhand, Karnataka, Kerala, Madhya Pradesh, Maharashtra, Odisha, Punjab, Rajasthan, Tamil Nadu, Telangana, Uttar Pradesh, Uttarakhand and West Bengal. Aakash Institute also conducts a national talent hunt exam ANTHE(For class 8th,9th and 10th Studying students) that has been fulfilling aspirations of millions of students by enabling the most deserving students to achieve their goals of becoming professionals through affordable coaching and guidance. With over 2.85 lac students appearing for ANTHE this year, it is one of the biggest scholarship exams held in the country offering up to 100% scholarships and cash awards. November 19th & 26th 2017.